Have you heard the news about a netizen beating his online date first time they met in person? The reason is she didn’t look as beautiful as on the pictures she posted before. It seems that over-edited photos became a real headache nowadays. After the appearance of a variety of mobile editing software, most of these photos became flattering, thus a brand new word “照骗(zhào piàn)” appeared to mock these unreal pictures. Photo in Chinese is “照片（zhào piàn）” , and 骗（piàn）means “to lie” , that is to imply these photos are just fake images. A touch can taper your jaw. It can slim your cheeks, widen your eyes. of course, it can make you thinner. 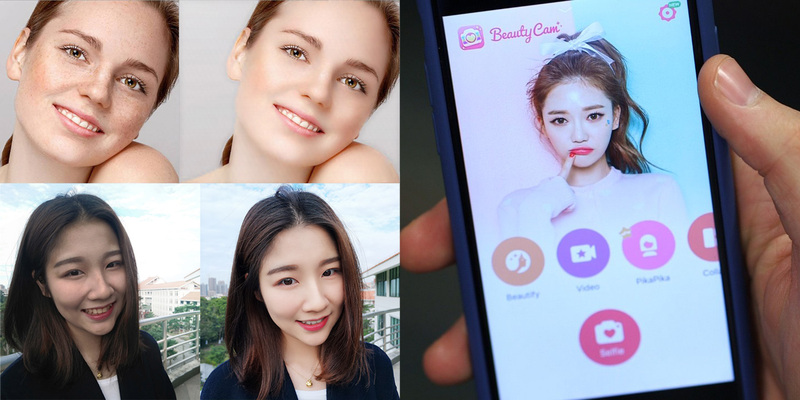 To make one good “照骗（zhào piàn）”, one can hardly do without the help of genius selfie-editing app called Meitu, filters and some other skills, today I will share some helpful Mandarin Chinese words with you about using this Chinese beauty camera app. There is a filter that makes your picture look better. Did you beautify this selfie? Some tools can help people touch up photos. Use this app to smooth your skin in the photo. I use this tool to whiten my selfies. This word came from Japanese, which means “a blur background in image”. Now, when you know to what circumstances over-edited photos can lead, you should think for yourself if you want to share it. But at least now you know how to ask your Chinese friends to help you with editing! Mandarin Internet Slang on Social Media冷(lěng)! It’s freezing cold!